Dr. Khassan Baiev, a Chechen physician, author and human rights activist, will speak at Bates College on International Human Rights Day at 7 p.m. Tuesday, Dec. 11, in Room 204 of Carnegie Science Hall, 44 Campus Ave. The public is invited to attend the talk, titled Chechnya Today: A Doctor’s Perspective, free of charge. For more information, call 207-786-6289. A surgeon during the first (1994-1996) and second (1999-present) Chechen wars, Baiev operated on both Russians and Chechens, attracting criticism and death threats from both Russian special forces and Chechen extremists. 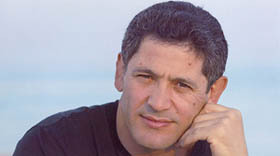 Physicians for Social Responsibility helped Baiev apply for asylum in the United States, where he emigrated in 2000. Today he lives in Massachusetts with his wife and their six children. During the last three years, Baiev has become an outspoken advocate for human rights, focusing his efforts on the International Committee for the Children of Chechnya. Featured in The New York Times and on National Public Radio, he has been honored by Human Rights Watch, Physicians for Human Rights and Amnesty International. His talk at Bates follows his visit to the University of Southern Maine’s Lewiston-Auburn College, Room 170, 51 Westminster St., where he will participate in a daylong human rights celebration with a Chechen focus. Read about these USM-LAC activities, or call 207-753-6574. Baiev’s Bates talk is sponsored by the college’s medical studies program, the biology department, the German and Russian studies department, the humanities division and the National Endowment for the Humanities.